It's her turn again. 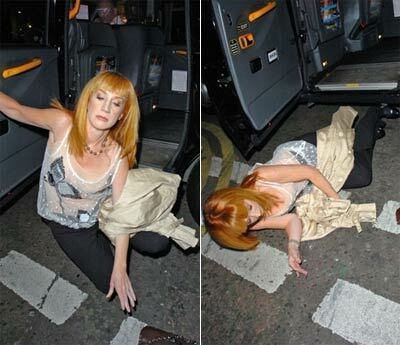 Now she's decided to auction off Kurt's belongings. You go girl! Looking good! The Top Ten Worst Movie Posters - Not the greatest list, but they make some points. This Canadian tearjerker details the life of Wayne Gretzky's dad who completely lost his mind. 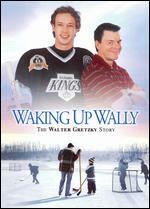 Just the fact that this is a movie proves that Canadians think Wayne Gretzky is Jesus risen from the dead. The guy that plays Wayne looks nothing like him, which I found odd. own both. So I am awesome. You should own at least one. half half whole - A fairly self explanatory, rhythmically charged sexual technique. Origin - Jason Mewes on the Evening With Kevin Smith 2 DVD. Usage - "Dude, I'm frus. I was super partying with this coug last night and it seemed like it was on like Donkey Kong." "Check it blee, you should have told her to get the 4-9-3-11." "I did, but then she said she "supposebly" had to work in the morning." "Dude, that is untight. What did you do?" "I had her perform a slight variation on the friend in town job quit and then took her home and gave her some half half whole."